Infrared photo of Crataegus monogyna (Common Hawthorn) blossoms. 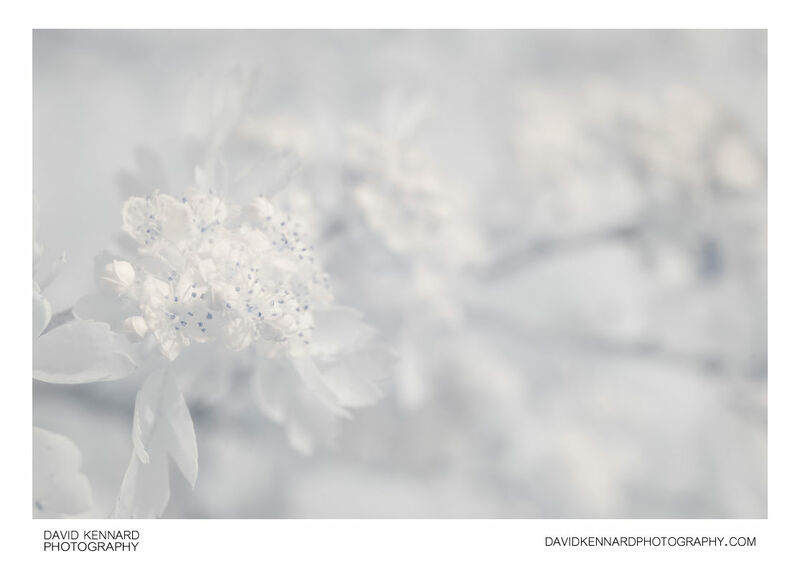 In infrared the centres of the flowers, including the style, appear brighter than they do in visible light. Mature anthers are quite dark, similar to their appearance in visible light. However the immature anthers, which are covered with a membrane to protect them as they develop, appear brighter in infrared light than they do in visible light. The foliage, which appears relatively dark in visible light, is quite bright in infrared, almost as bright as the flowers.